On the weekend I had the pleasure of attending my good friend Miss V’s baby shower. She is a dietitian, loves sushi, and wanted a bamboo steamer for some of her cooking adventures in the kitchen. She also had purchased everything she needed for the baby. So, with all of these thoughts running around my head, I created these little sushi rolls from facewashers (you can never have enough facewashers when you have a baby right?). 1 brightly coloured hair band (these had cute strawberries on them). Fold facewasher in thirds to create one long strip. Place strawberry hair band at one end. Roll facewasher tightly into a log. Place this log at the end of a pink facewasher you have folded in thirds (just like the white facewasher). Wrap the white facewasher tightly in the pink facewasher. Secure ends with a pin. Wrap little sushi roll with a strip of green paper cut to size. Secure paper with sticky tape. 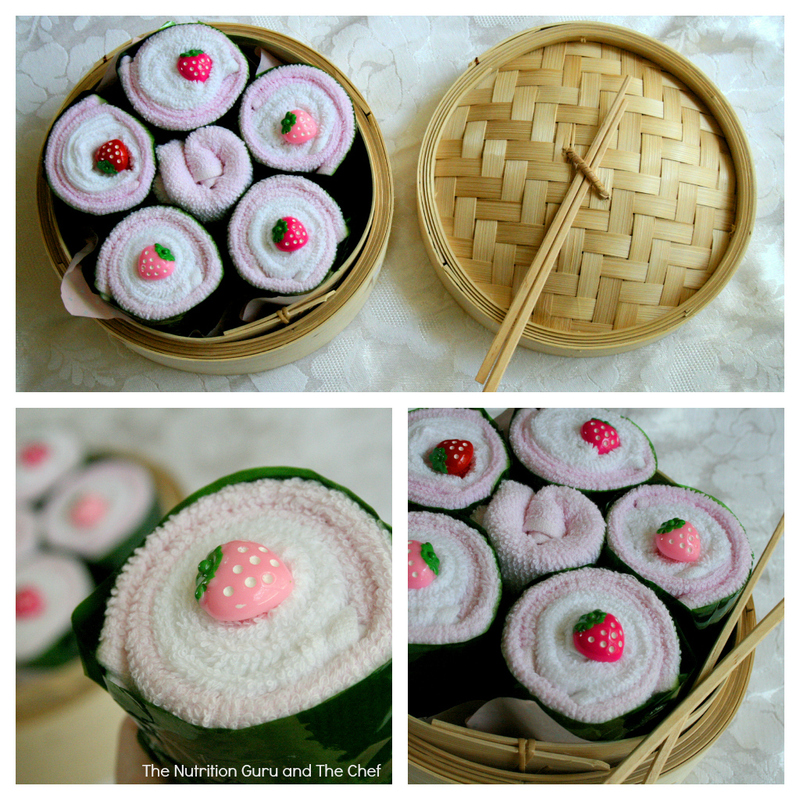 Arrange in a box, tray or in this case a bamboo steamer for a cute little practical gift. that is absolutely brilliant.. love it!